Former girl group member Camila Cabello broke out solo earlier this year with a Cashmere Cat collab, but her old Fifth Harmony bandmates seem to be persevering just fine without her. The group have unveiled their first single sans Cabello, though it does feature some extra star power. Atlanta rap star Gucci Mane guests on their new track, "Down" — and the dancehall-tinged tune seems well on its way to becoming a certified summer banger. Get acquainted with the brand new single in the Apple and Spotify players below. 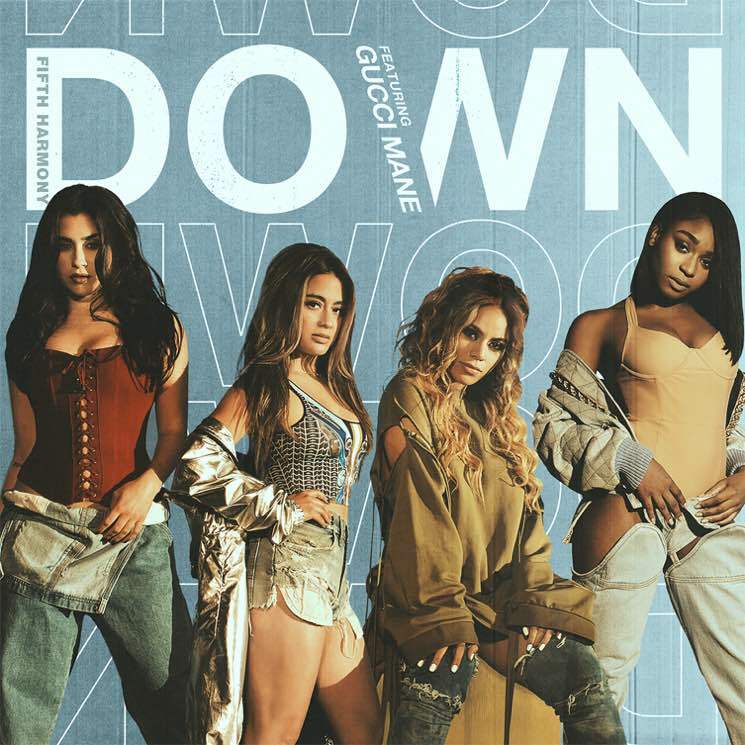 Keep scrolling, and you'll also find Fifth Harmony and Gucci Mane's live performance of "Down" on Good Morning America from bright and early this morning (June 2).